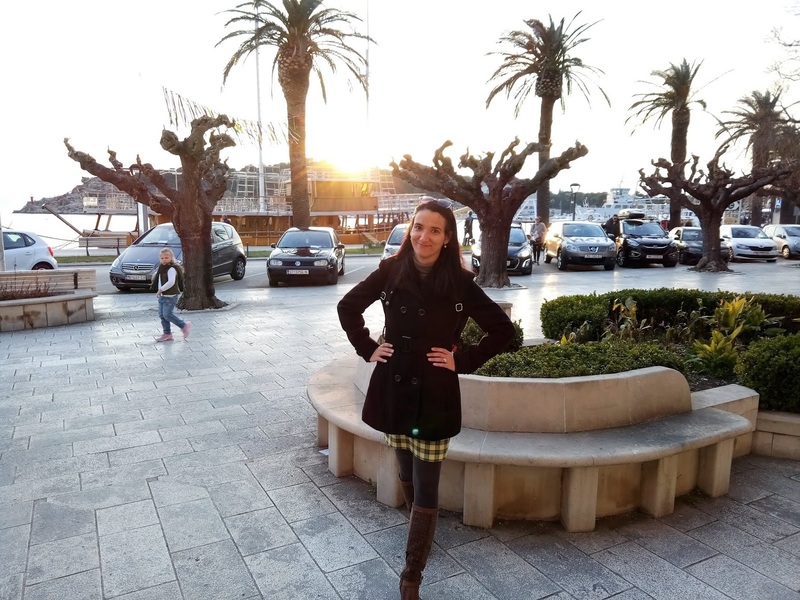 Today I'm taking you to Makarska city. 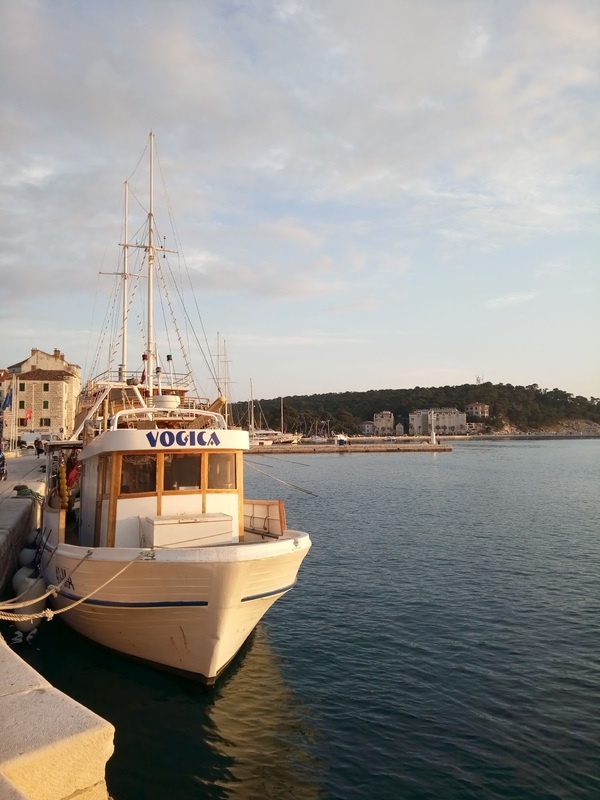 Located in Dalmatia, a region of Croatia, this little town is a big touristic hot spot. 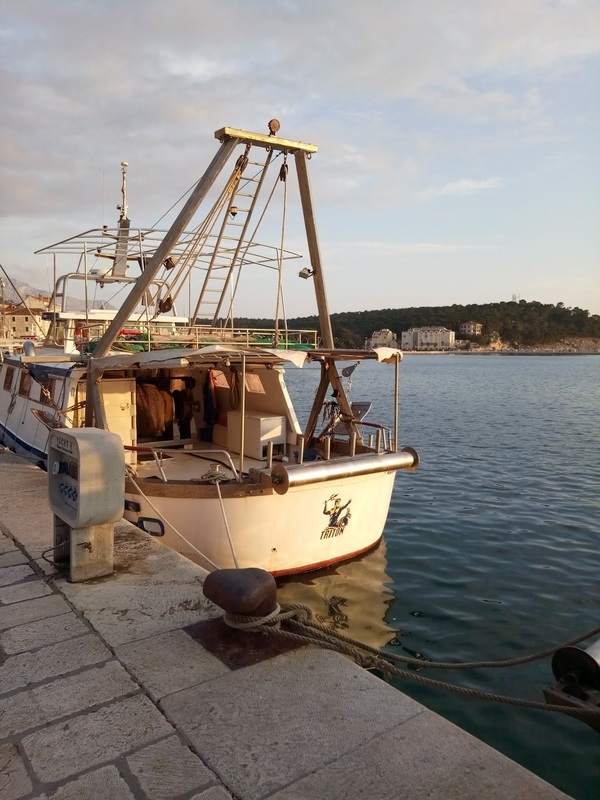 Makarska city is a well know Croatian destination and as soon as you set foot into this town, you will understand why. Once you have a look at the majestic mountains overlooking this town, and see for yourself how beautiful the beaches are, you won't have to ask why is this place so popular. This whole area is a top destination, so if you want to visit it before it gets crowded with tourists now is the perfect time. 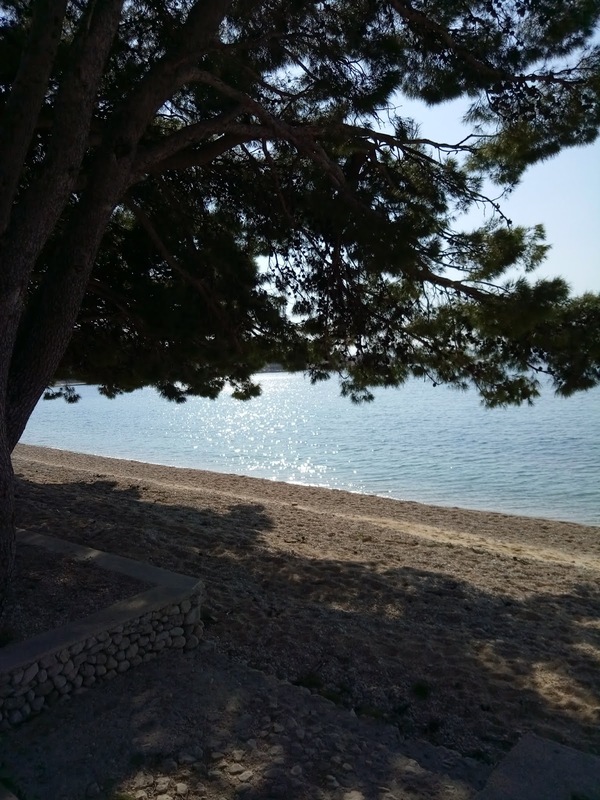 If you want you can check out my previous visits to this place ( a visit dating back to March 2016 and a night visit to Makarska). 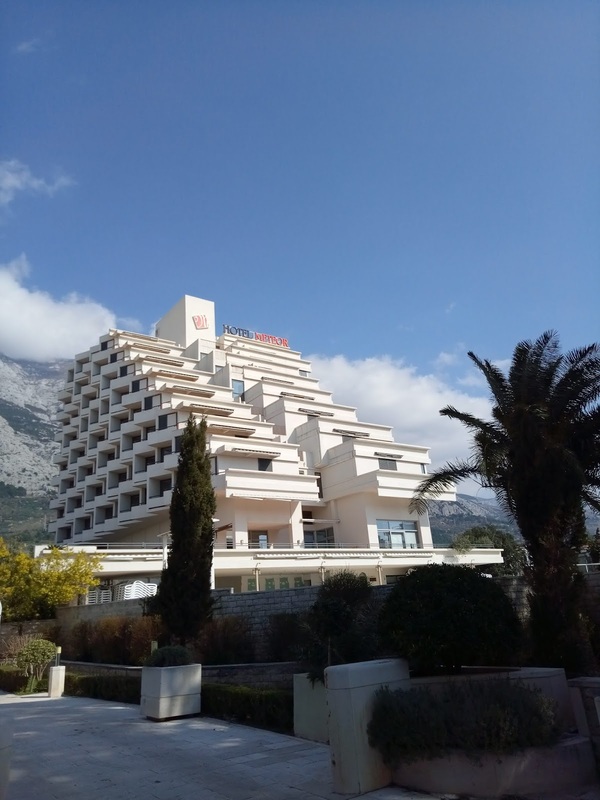 As far as accommodation in Makarska is concerned, it is quite versatile. From luxurious hotels to more affordable ones, from private accommodation to camps, you should be able to find something to suit your desires. Finding a place to stay can be challenging during the summer season, so if that is when you're visit, it is best to book a bit ahead of time. I don't think you will have issues finding a good place to stay in right now. If you are wondering when there photographs were taken, the answer is the first of March. That is when we went to Makaraska for the first time this year. The first of March being a public holiday in Bosnia and Herzegovina, the place was crowded with BIH tourists who following the same logic as we did, realized that a place that is so near by is a perfect getaway for the weekend. 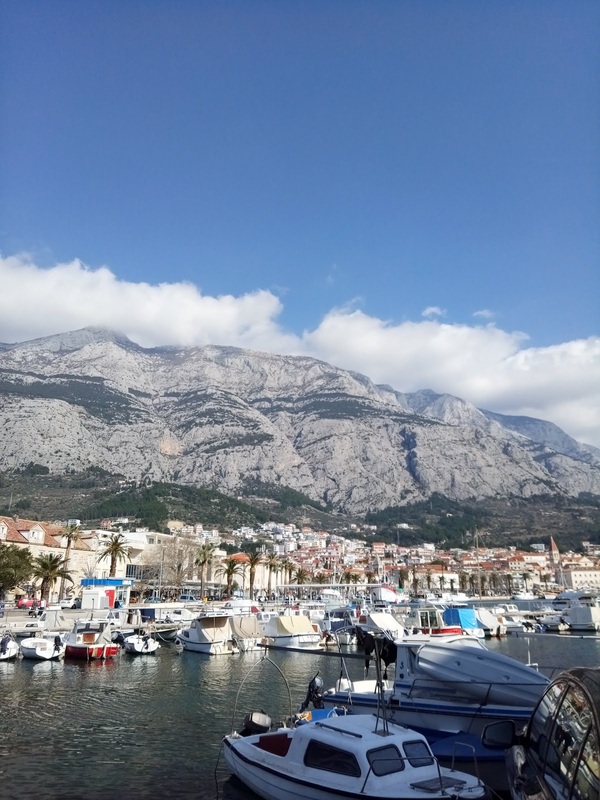 I actually went to Makarska primarily because a family member of mine will be staying at the hotel Biokovka for a longer period of time but I obviously also enjoyed visiting this city for the city itself. It is a beautiful place to visit, isn't it? 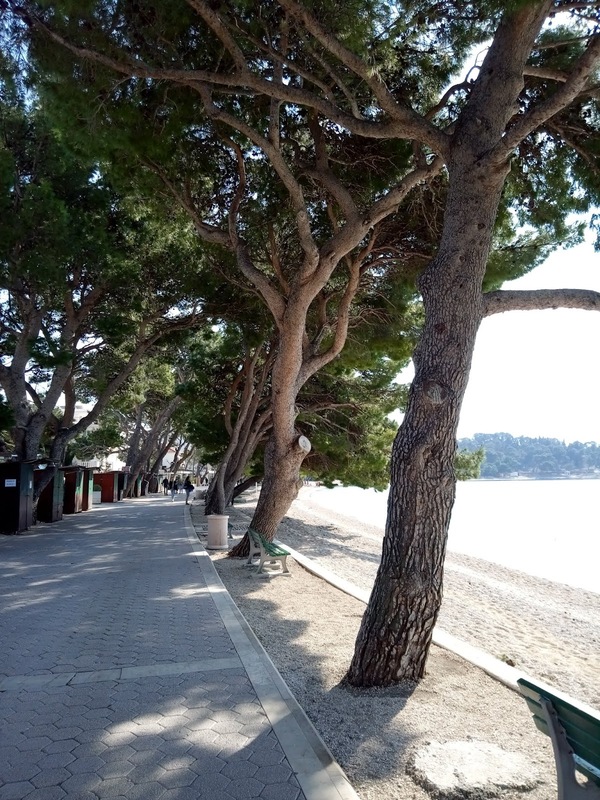 The beaches are quite enchanting and Adriatic is always beautiful. The funny thing is that we were in a hurry to find hotel Biokovka but we couldn't find anyone local to give us instructions and we kept running into visitors from Bosnia and Herzegovina. Finally we stumbled into a Czech family who was able to give us precise instructions. After being given instructions, we found Biokovka hotel without problems and were able to be reunited with my family member before she took off to have her massage therapy (that's why I was in a hurry, I needed to get there before she gets to therapy). 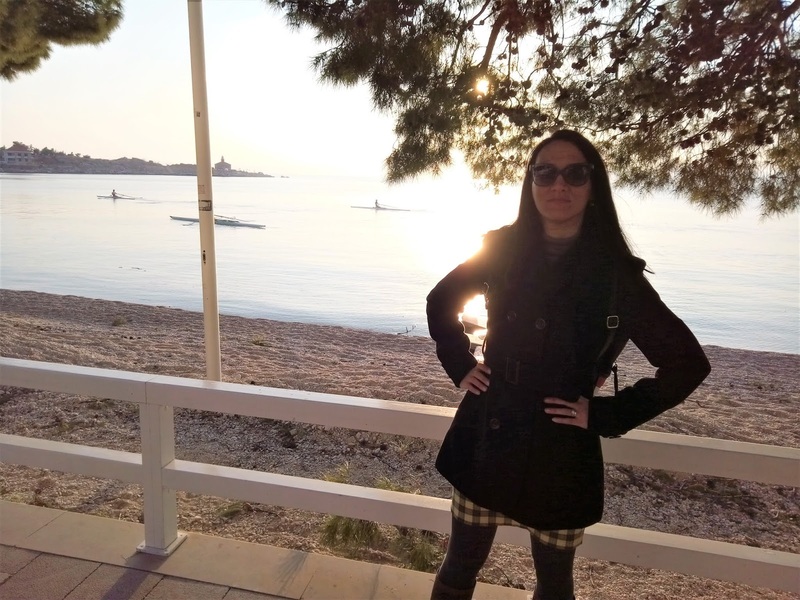 As I mentioned, I visited Makarska a few times with my significant other in the past. I always liked this town but I was never there for long. It was always a short stay but you know sometimes a short stay is enough. I'm a big fan of little trips and getaways. 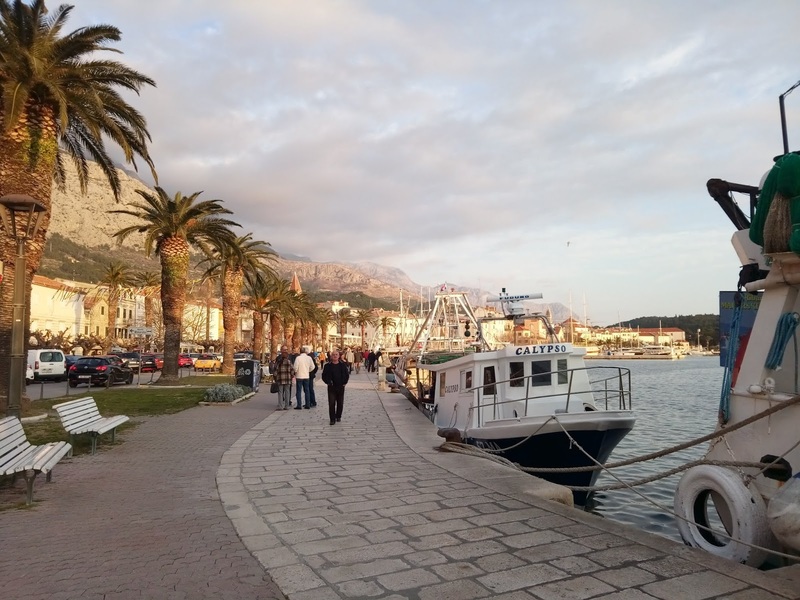 Makarska seems to me a perfect destination for a weekend getaway. Once I chatted my family member to my heart content, we had spent the rest of the day strolling around and enjoying this city. We stopped by for lunch in restaurant Peškara (a fish restaurant) and enjoyed some delicious fresh fish prepared on a grill. I'm quite keen on fish dishes, in case you didn't know. My husband and I always have a nice time in Makarska. This time we went there with family friends who had a day off at work, and there was no need to hurry so it was lovely. My main reason for visit Makarska was a family visit so I'm really happy I managed to spend some time with our friends as well. It was a lovely day. What to say about my outfit? I wore this vintage tartan skirt that I absolutely adore and paired it with a turtleneck and a red blazer. I love colourful outfits and I see no reason why we should give up on them during winter. I finished the outfit with a pair of brown boots and a black coat. It was a comfy and fun outfit that I put together without much thought, and that felt good because it is very much my style. That's always a good tip. When you're travelling, wear something you're comfortable with. For someone bright colours are comfortable, for others neutral ones. Wear something that makes you feel good is always a good formula to follow. If you know your way around the kitchen, why not buy some fresh fish and prepare it yourself? Just an idea! 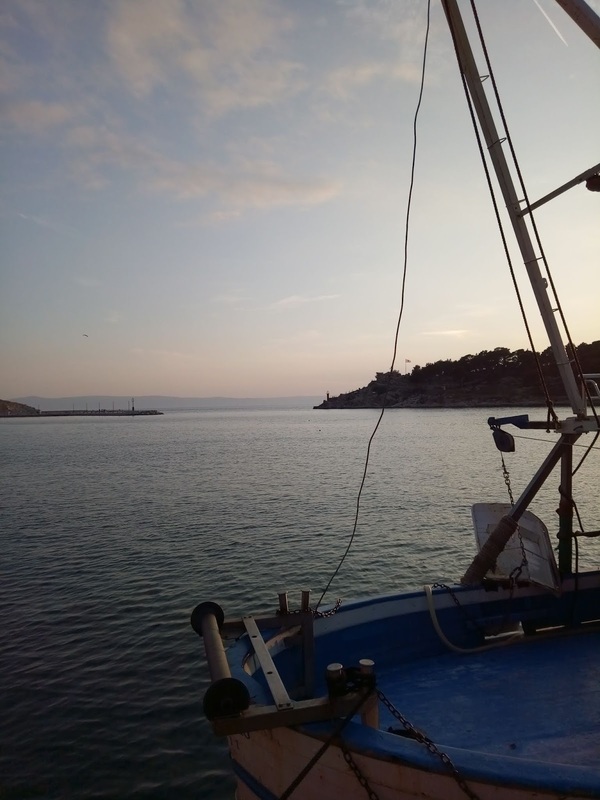 The local fishers often sell the fist directly from their boats. You just pay these guys and take your fish (or sea food) away. Doesn't that seem nice? I didn't buy any fish because I'm not sure it would be legal to carry it over the border, but I was tempted to buy some. Speaking of fishing, I love boats. I know I may have said it before, and a house full of paintings of boats is a good indication ( I have four canvases in my living room with the subject of boats all of which I painted myself). I must say that I felt inspired to paint while we were strolling. Instead, I took some photographs. Who knows maybe I will use them as a reference for my boat paintings? 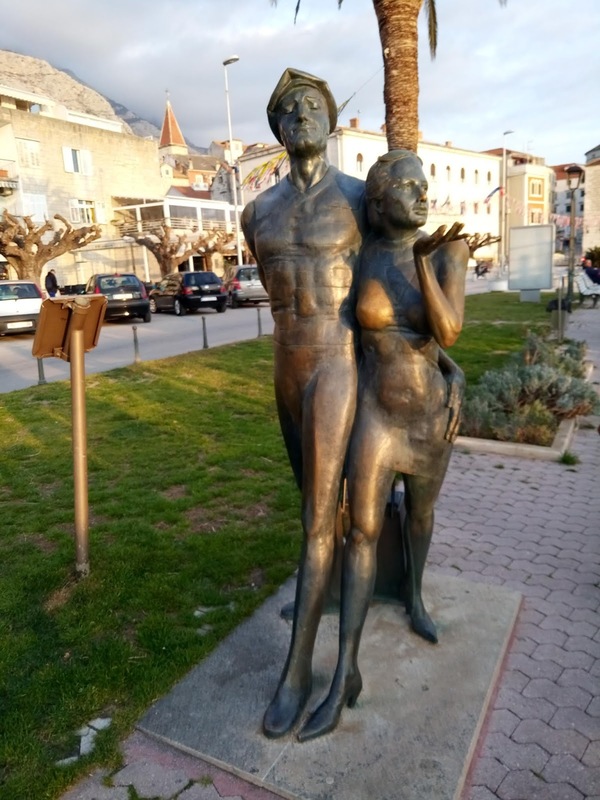 Makarska city has one very interesting monument. I think it is called : 'a monument to tourist'. If you are wondering what this fine man hugging a lady should represent, it is a monument to a special kind of Dalmatian man known as galeb (meaning seagull). A seagull is a guy who attracts and enjoys the attention of female tourists. Apparently, Dalmatian man are so gorgeous that in the past many women would come to Croatia just to meet them. I'm not sure do 'seagulls' still exist today. What are your experiences? I don't have much, I'm pretty much related to most of this region and I'm not exactly a tourist. But Dalmatians are still quite handsome, that I can confirm. I think the monument is hilarious. I laughed so hard when I first saw it. I think it is a bit relic of the past, these kind of man, but it is fun to see someone being funny about it. You think you have seen it all, and then you come before a monument to a womanizer. 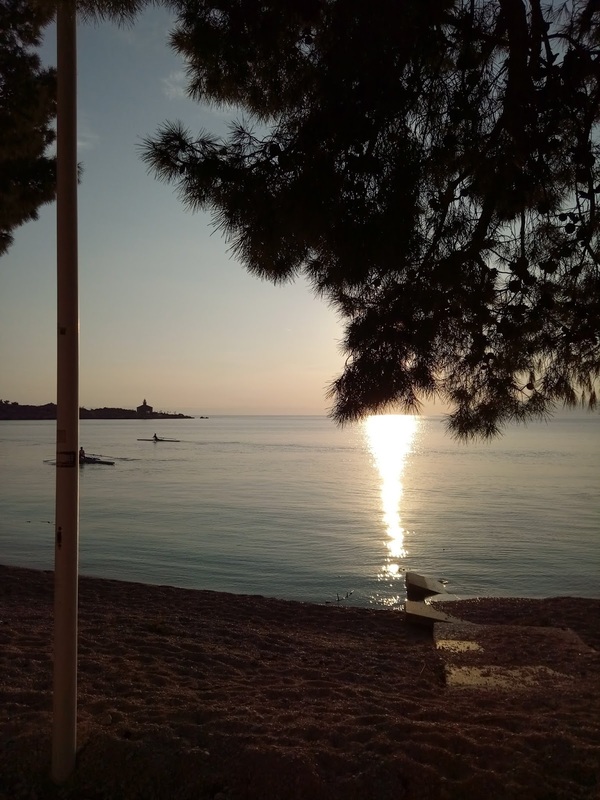 One of the things I miss the most about living in Croatia are sunsets. There is nothing quite watching a sunset at the beach, is there? The play of colour is spectacular. Not that the place where I live now is any less beautiful. Still, there is no place like home, right? Dalmatia will always have a special place in my heart. It is hard for me to select one part of this region to highlight, because I think that Dalmatia should be visited and experienced fully. My advice is: see as much of it as you can! You won't regret it and you won't forget it. 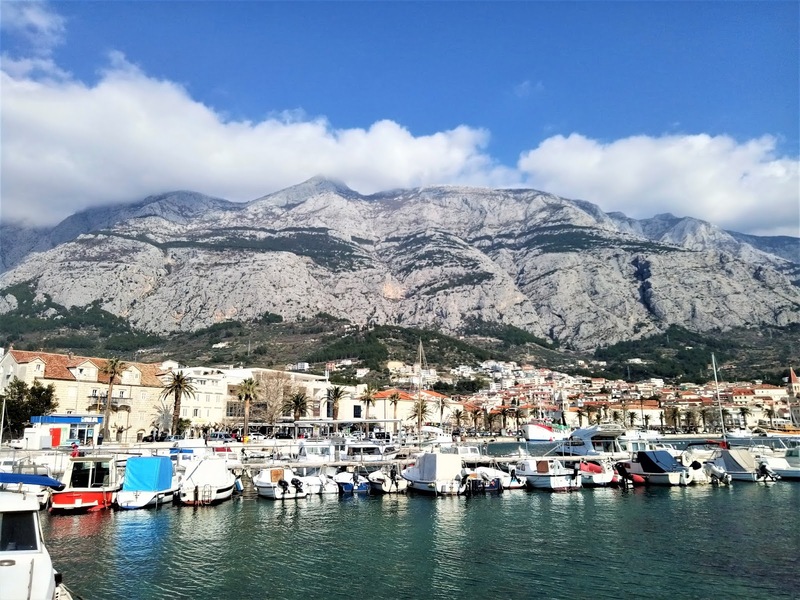 Do you want to know what to do in Makarska? 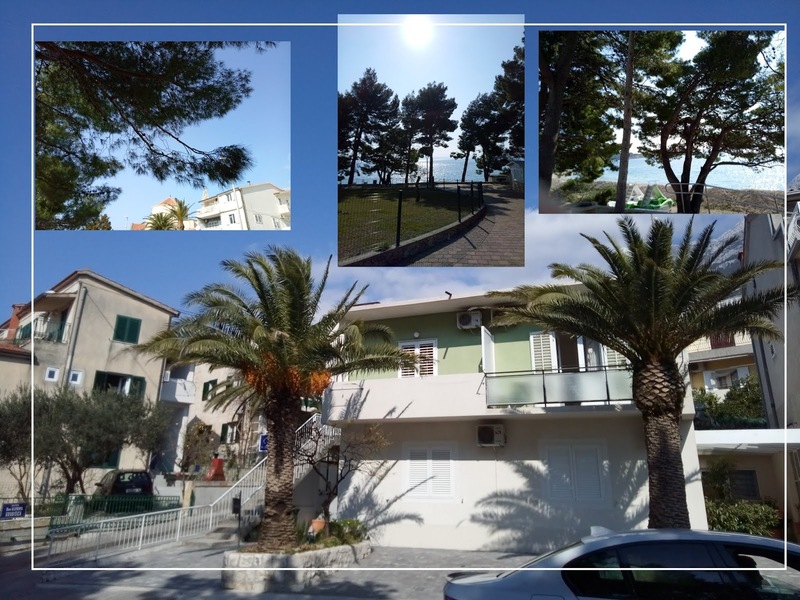 Makarska riviera being a synonym for gorgeous beaches, sea based recreational activities (beach tourism) is definitely one of main attractions but it is not the only ones. This naturally beautiful area has a lot to offer in terms of outdoor and indoor sports and recreational activities. From hiking to paragliding, everyone can find something for themselves. Extreme sports are gaining in popularity so if that is your jam, you can be sure to find some adrenaline pumping activities here. 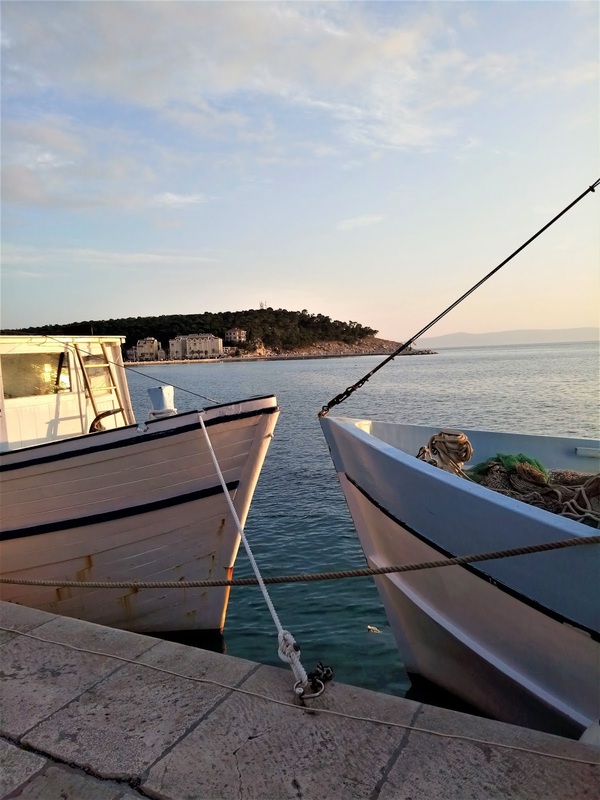 Check out official site of Makarska town for more details. In the summer, there is also a vibrant night life. 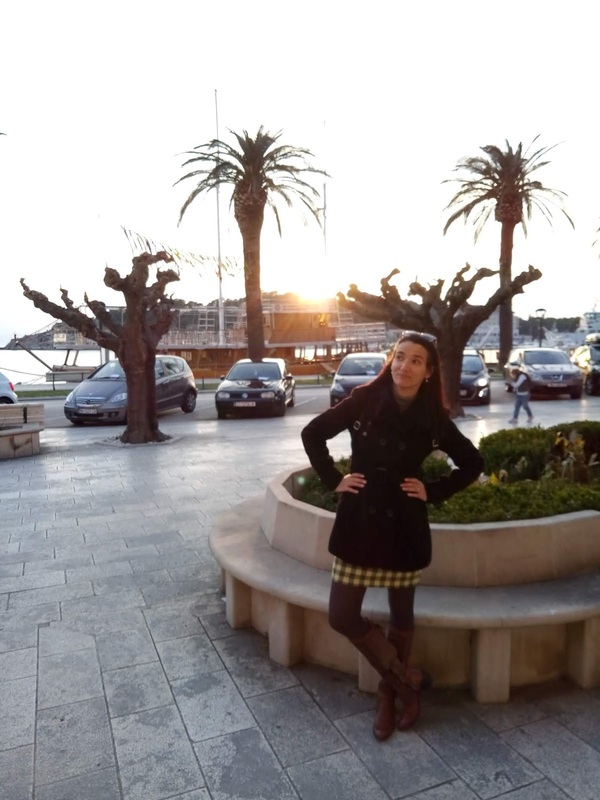 I hope you have enjoyed visiting Makarska city with me. 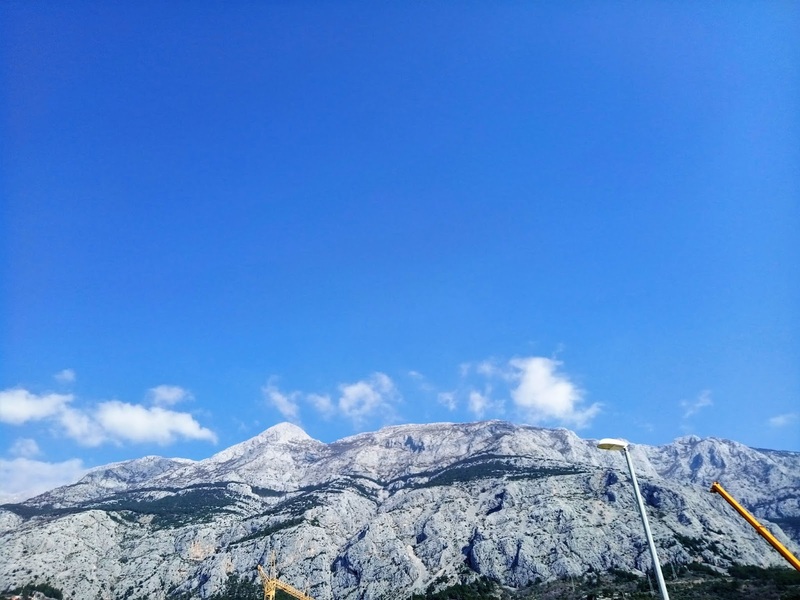 I have another post about Makarska coming up because (sorry for the spoiler), I couldn't resist visiting it again and I was actually there last weekend as well. Let me know what you think about this post. Do you like Makarska? Have you been to it before? Do you plan to visit? As always, thank you for reading. Your comments mean a lot to me. Lovely Pics, what a wonderful Place! 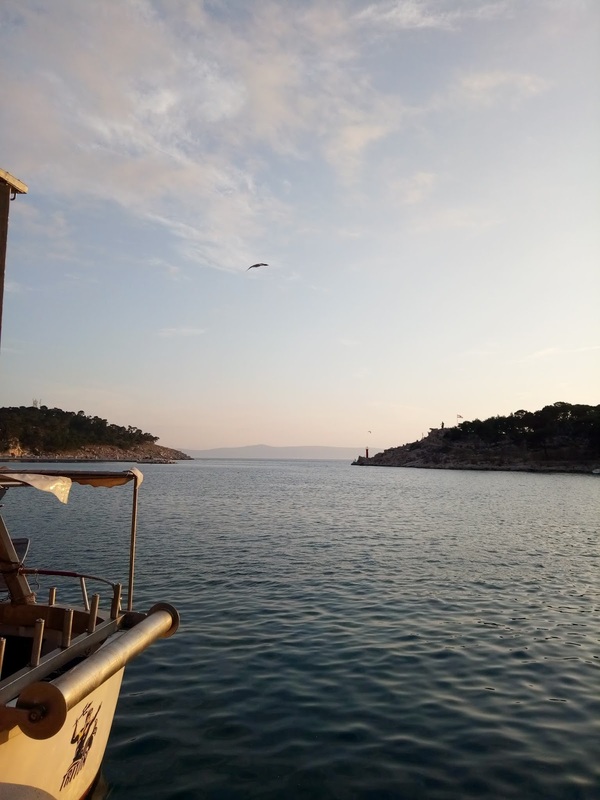 Croatia looks amazing hun and loving all these pictures! Yet another beautiful place to visit! If it wasn't for your cosy outfit I'd think it was midsummer by those clear blue skies and intense sunlight. me too, old favs are the best choice for vacation. This place is so lovely! Ma che bellissima meta per una gita! Io adoro la Croazia, ci sono stata due volte in vacanza, anche se sempre d'estate, e l'atmosfera era proprio come quella di queste foto! Carinissimo il tuo look, riesci sempre ad esser elegante ed alla moda anche con look comodi e caldi! grazie mille. Le meraviglie della natura sono sempre interessante, ma non e' male dare un' occhiata agli uomini:). You always share such magnificent places Ivana!! I would like to visit when it's not so crowded like this!! I've never really been a water girl...at least in the water. yet it's wonderful to be near it because it's so serene and peaceful!! Your outfit is rather lovely- got to love that combination of colours, patterns and piece! Thank you Kezzie. Tree lined boulevard seems like a fine expression to me. Your outfit is lovely! Good thing you managed to get to the hotel in time to catch up with your family member. 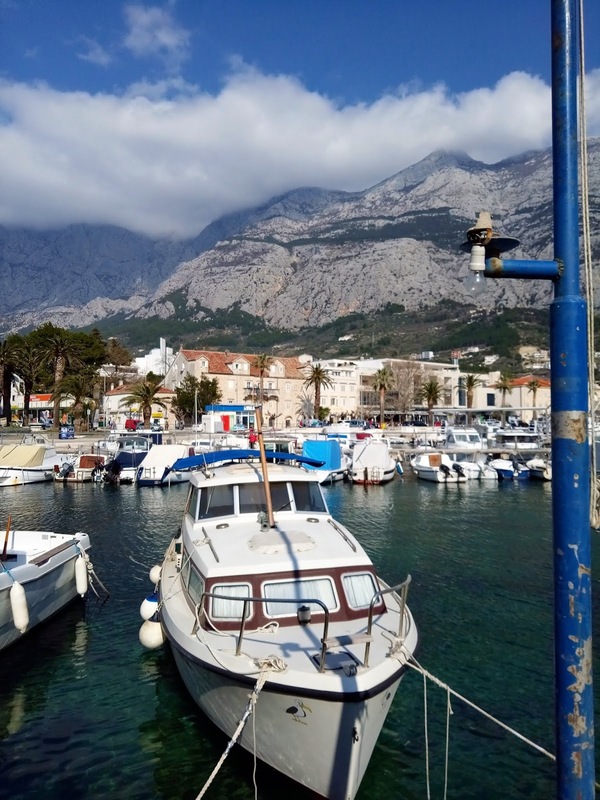 Makarska looks very charming and quaint at the same time. I can see why it would be a perfect destination for a weekend getaway. My list of places to visit is continuously growing!! Gotta add this to the list, it looks amazing! Gorgeous pictures! I always wanted to Croatia! It's such a dreamy place, dear!